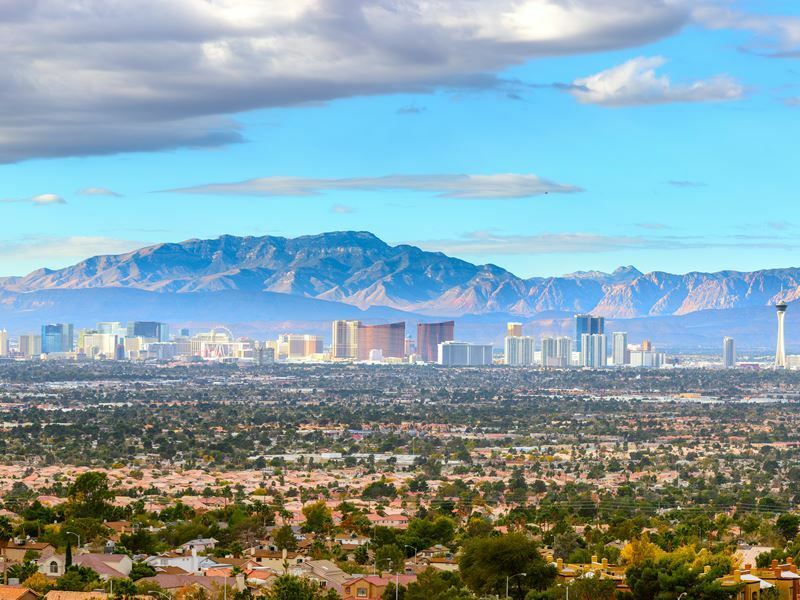 While there is a ton to do in Las Vegas, from testing your luck at the tables and slots to spectacular shows, when you want to get away from the bright lights of the big city, you’ll find a lot more than stark, barren desert land to explore. In fact, this area provides the opportunity for a wealth of fun day trips, including these. 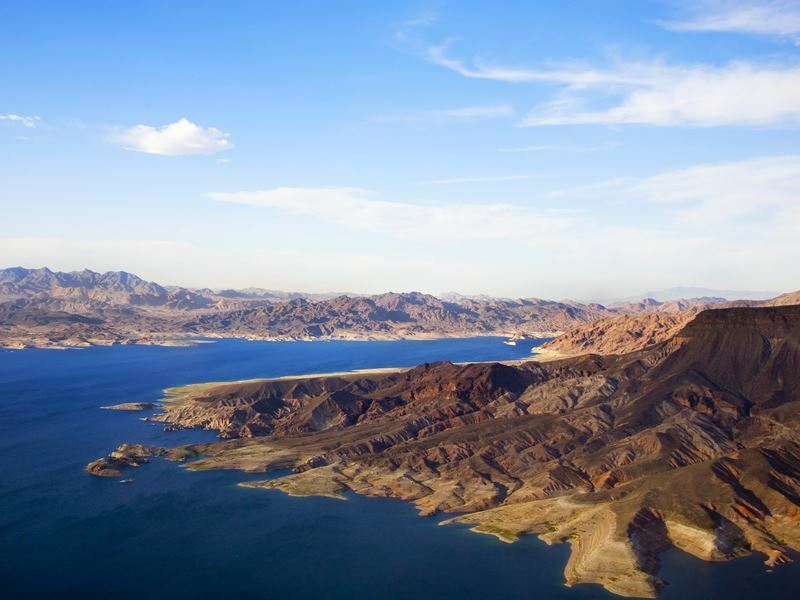 Lake Mead can be reached in less than 45 minutes from The Strip, located on the border between Nevada and Arizona. One of the largest manmade lakes in the world, it’s renowned for its magnificent scenery that includes views of red sandstone rocks, Joshua trees, lava hills and bighorn sheep. It also offers the opportunity for a wide range of outdoor adventure, such as hiking, kayaking, boating and fishing. At Hemenway Harbor near Boulder City you can rent a boat to explore the lake or enjoy the thrill of water skiing. If you aren’t quite sure where to go or what to do, just, head to the visitor centre that’s just a few miles northeast. 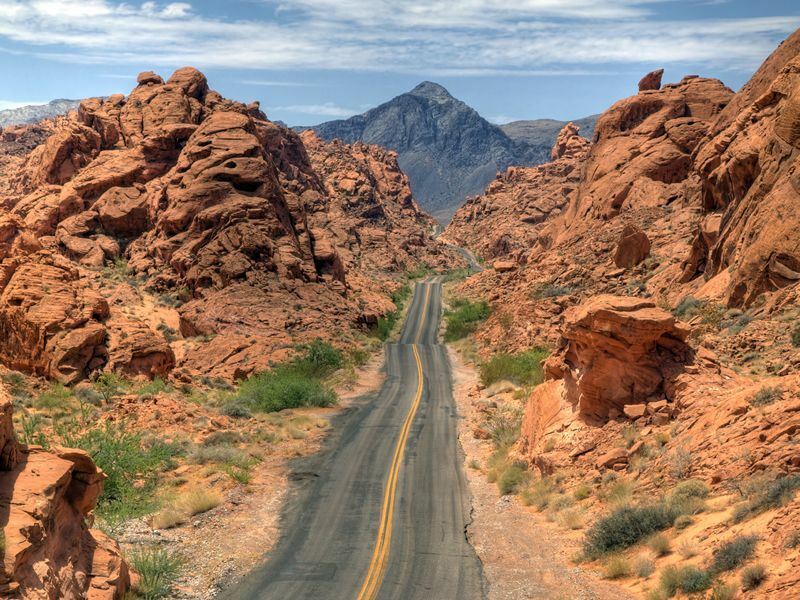 The oldest and largest state park in Nevada, Valley of Fire State Park, is only an hour’s drive from Vegas and boasts incredible rock formations that looks as if they’re spewing fire from the desert sands. The jaw-dropping features were created by erosion over 150 million years ago and provide a host of recreational opportunities with trails that provide close encounters with ancient trees, petroglyphs that are thousands of years old, and the park’s “fire.” Along the way, you might just catch a glimpse of some of the bighorn sheep that inhabit the area as well. 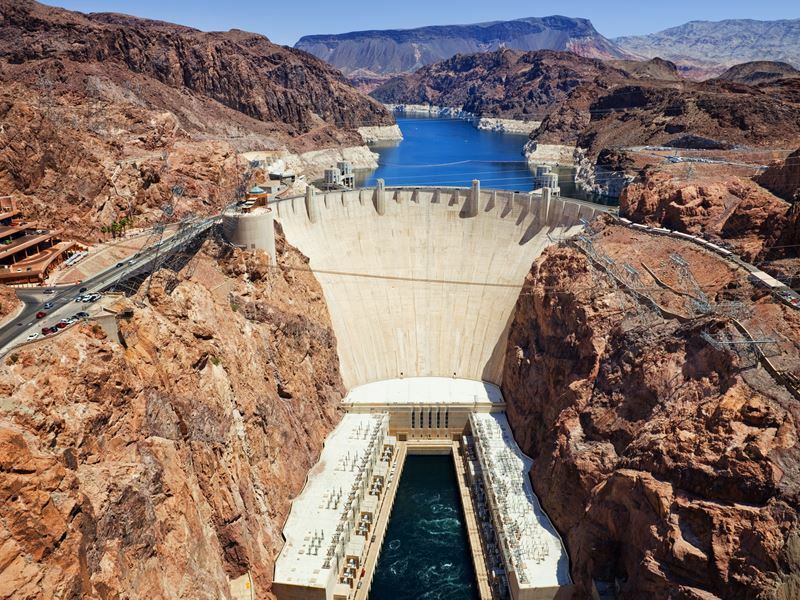 Thirty-five miles south of the city in Black Canyon along the Nevada/Arizona border, Hoover Dam is an architectural marvel that’s considered a must-experience for Las Vegas visitors. The 726-foot-high curved wall was built to produce electricity, provide irrigated water and control flooding – without it, Vegas simply wouldn’t exist. Take a guided tour to learn more about its history, including an elevator ride within the canyon wall where you’ll view the power plant and generators. Be sure to visit the observation deck which offers impressive views of the Colorado River, Lake Mead, the canyon and dam. Don’t miss the walk across the Hoover Dam Bypass Bridge, or Mike O’Callaghan-Pat Tillman Memorial Bridge, as its also called. The country’s first concrete-steel arch bridge features the Western Hemisphere’s longest concrete arch and provides a crossing over the Colorado River. America’s highest bridge at 840 feet above the river, it links the states of Nevada and Arizona, and contains a walking path that offers the ideal spot for capturing the high walls of the canyon, Lake Mead and Hoover Dam on film. 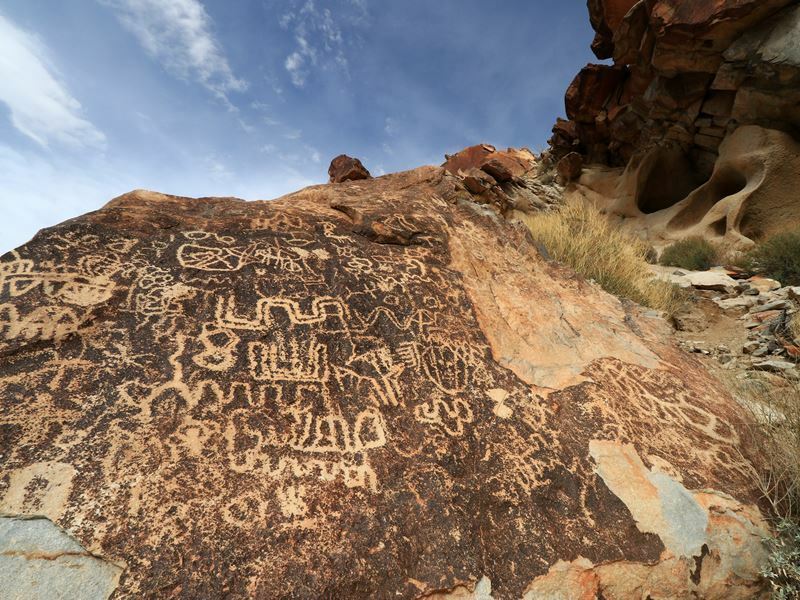 Spirit Mountain near Laughlin, about 90 minutes from Vegas, is home to the Grapevine Canyon Petroglyphs. While the surrounding area is rather stark and barren, the canyon provides somewhat of an oasis, at least during non-drought years. You’ll find all sorts of life, including a wide range of animals and plants. Walking the trail that snakes along the edge of Grapevine Wash, when you get close to the canyon mouth, the first petroglyph panels are revealed on the cliff faces and boulders. Their age has yet to be determined – the etchings may be 800 years old, or as recent as just a couple of centuries ago. While you’re in the area, you may want to check out some of the many labyrinths – there are eight of them in Laughlin, offering the opportunity for quiet contemplation as well as picturesque desert terrain vistas and a bird’s-eye view of some of the other labyrinths. Numerous other attractions can be enjoyed here too, like a cruise on the Laughlin River and checking out the impressive classic car collection. The extensive collection showcases more than 80 antique, classic and special interest vehicles curated from private collections at Don Laughlin’s Riverside Resort, and there is no admission cost. Fascinated by the possibility of aliens or just want to experience a very off-the-beaten-path attraction? The “Extraterrestrial Highway,” officially Nevada State Highway 375, can be reached in just a couple of hours with the journey there part of the adventure itself. 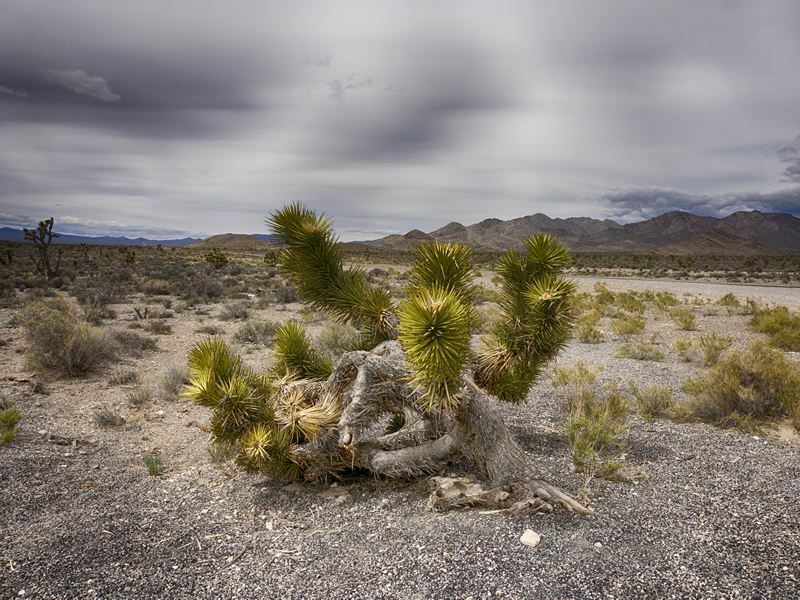 As Area 51 rests alongside the highway, it’s long been known for its alien sightings, with many believing life from other worlds have visited this remote place in the Nevada desert. The lonely stretch of road that passes glistening lakes and lush valleys will bring you to the remote town of Rachel. Home to just a little more people than your average primary school class, it’s a quirky spot that’s become somewhat famous as the home of alien-related attractions and lots of alien enthusiasts. Stop for lunch at the Little A’Le’Inn, a hotel/eatery/souvenir shop and take time to chat with the locals. You’re bound to hear some fascinating stories, like the woman who swears she witnessed some mysterious red lights suddenly appear in the sky before transforming into a five-point star and ultimately exploding into thousands of tiny lights. The Alien Research Centre Gift Shop which is closed more often than not, is worth a stop just to take a picture of the giant alien statue out front. Against the stark backdrop of the desert, it epitomizes the passion many have for this unique roadway. 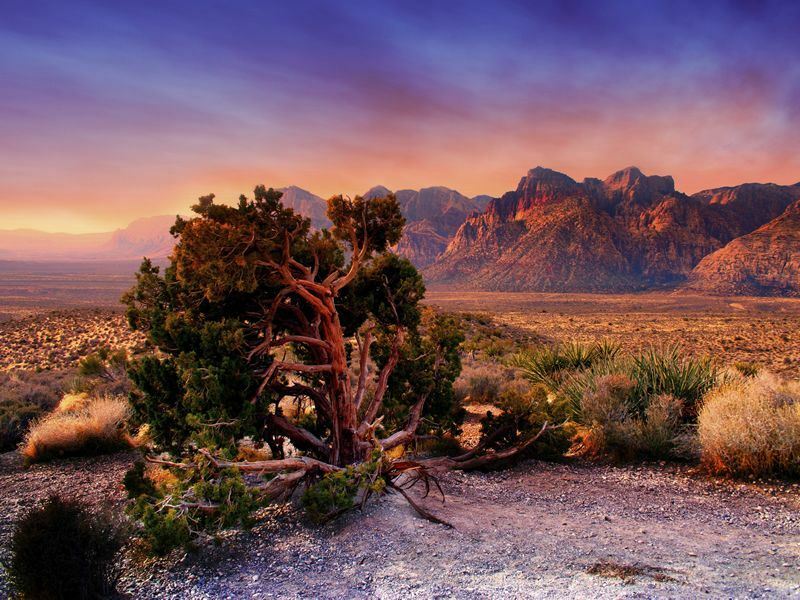 If you only have time for a short drive, the Red Rock Canyon National Conservation Area is just 17 miles west of Las Vegas but feels as if you’ve steeped onto a different planet. The 200,000-acre conservation area hosts more than 30 miles of scenic trails for hiking, mountain biking and horseback riding, providing the opportunity to view wildlife and unique geologic features, representing quintessential examples of the Mojave Desert. It’s also a great place for a scenic drive, with a 13-mile route that will bring you to sights like the huge wall of rock with jagged red stripes known as the Keystone Thrust – it’s so large that it can be seen as far away as the Vegas Strip. 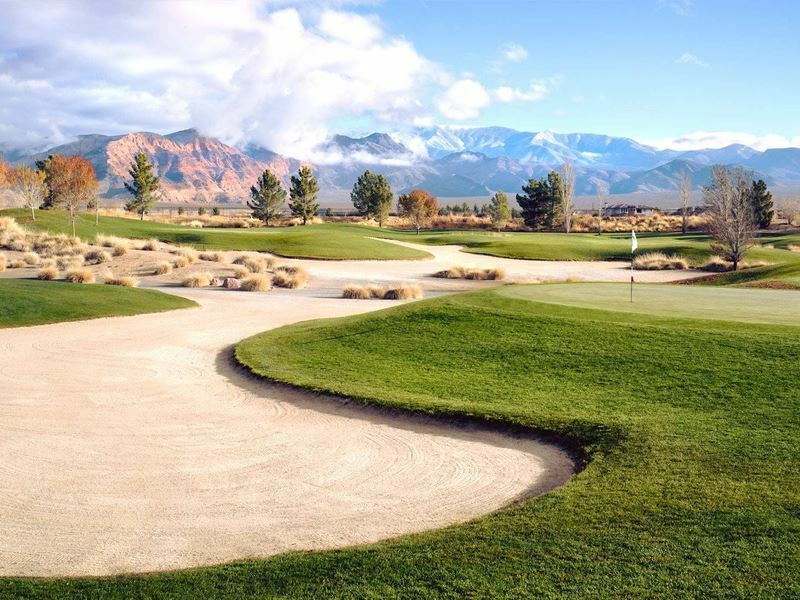 The town of Pahrump, a little more than an hour from Las Vegas, is best-known for its outdoor adventure activities, with opportunities for rock climbing, off-road riding, hiking and mountain biking just outside of the city. Lake Spring Mountain provides especially thrilling pursuits, including paddle boarding, rafting, kayaking, and even hydroflights, an exciting new extreme sport. While it may be labeled extreme, these days just about anyone can take part in it, soaring the water thanks to the Jetpack which lifts you up and provides the sensation of suspended flight. If thrills behind the wheel are more your speed, visit Spring Mountain Motorsports Ranch which features a 3.5-mile road course allowing you to test your racing skills. Inspired by the Long Beach Grand Prix Street Circuit, it ‘s a whole lot of fun with blind drops, banked corners, and straightaways. The Spring Mountain National Recreation Area is the place to go for hiking, mountain biking, rock climbing and wildlife viewing, with several wonderfully cool mountain springs. Be sure to check out the Pahrump Valley Museum while you’re here, with exhibits including early mining and farming equipment as well as items from pioneer families and cowboys, and Native American artifacts. 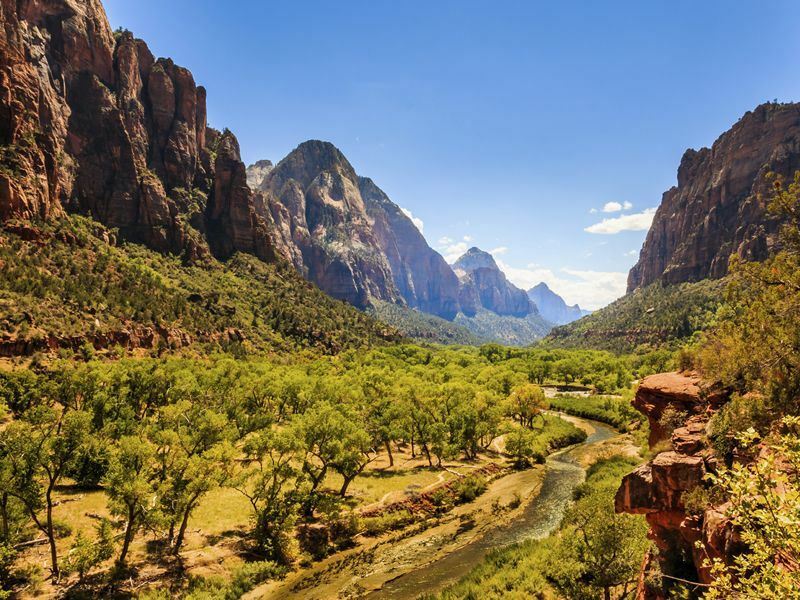 While it’s a bit farther than the other day trips, if you can force yourself to wake up early, it’s worth making the two-and-a-half-hour trip to Zion National Park in Utah. A stunning land of unique rock formations and other geologic features, cascading falls, soaring cliffs, deserts, lush greenery and sandstone canyons, it showcases some of the Southwest region’s most spectacular vistas and hiking opportunities. One of the top highlights is The Narrows, a gorge with walls that are a thousand feet high with a river running through, depending on the year and the season, that can be up to 20 or even 30 feet wide. You can hike the easy Riverside Walk for a mile from the Temple of Sinawava to view it, or even travel beyond, wading through the Virgin River. Other popular treks include the Canyon Overlook, Weeping Rock and Angels Landing. To escape the crowds and enjoy solitude, the more remote Kolob Canyons in the northwest corner of the park is ideal. Finally, for a unique and especially unforgettable day trip, you might want to consider one of the air tours to the Grand Canyon. A variety of options are available through various outfitters, most of which include the scenic flight to the West Rim of the canyon, soaring over Hoover Dam, the Colorado River and Lake Mead. 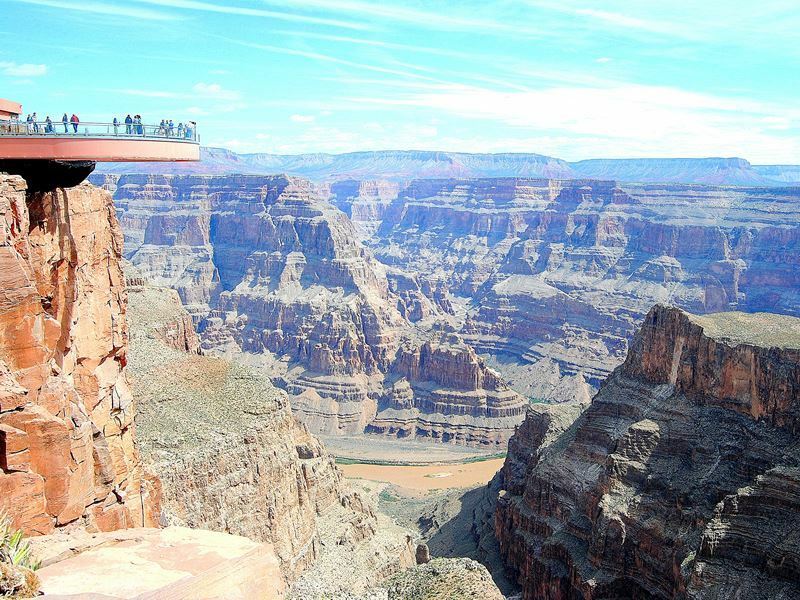 Added options include the Grand Canyon Skywalk for especially unique photo-ops, descending below the canyon’s rim in a helicopter and down the canyon walls before landing on a bluff just above the river, as well as the chance to explore a Native American Village and tour authentic dwellings. Optional ATV rides offer a thrill along the rim in the off-road vehicles through Whitmore Canyon and the Lake Mead Recreation Area. All this, and you won’t have to worry about getting behind the wheel at all, as most outfitters include pickups from Las Vegas hotels.